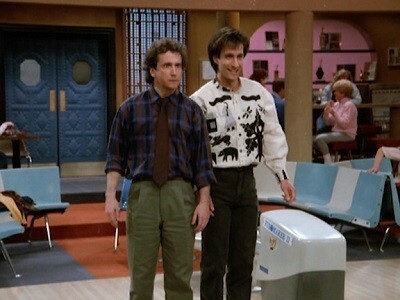 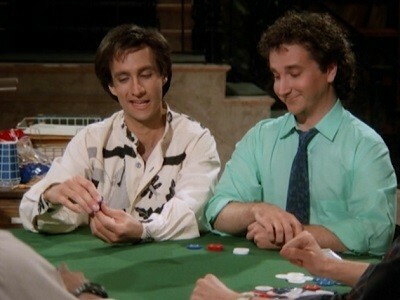 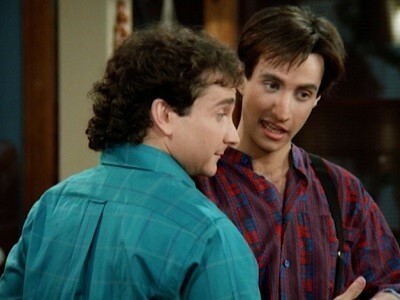 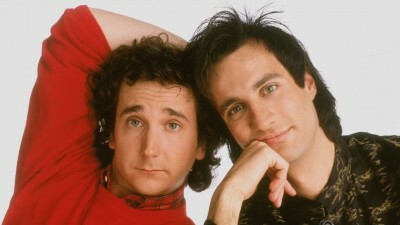 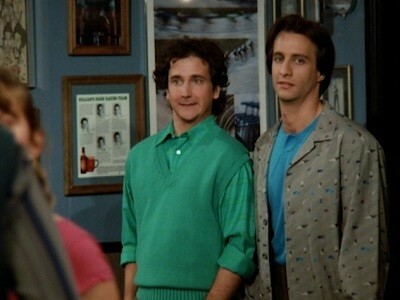 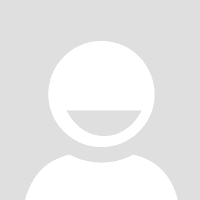 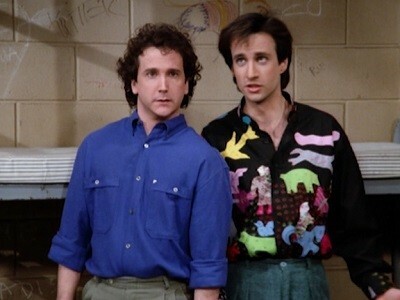 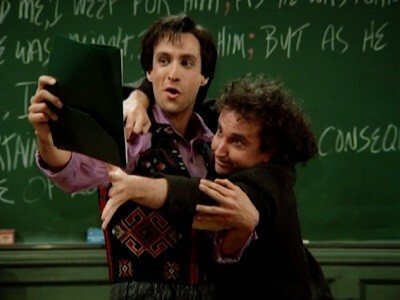 Larry is assigned to be on a game show called ""Risk it All"" and Balki is his partner. 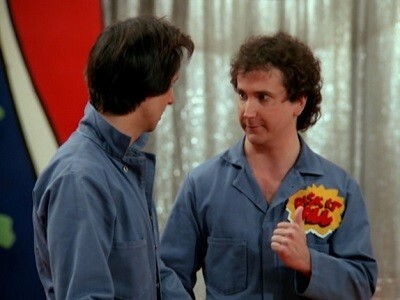 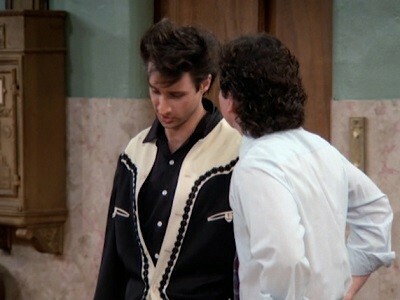 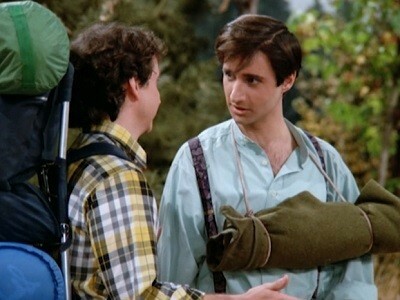 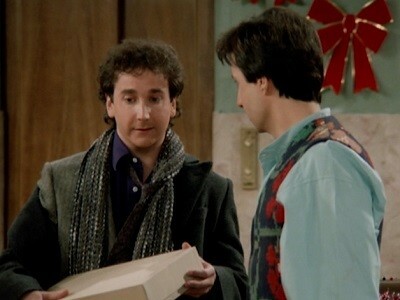 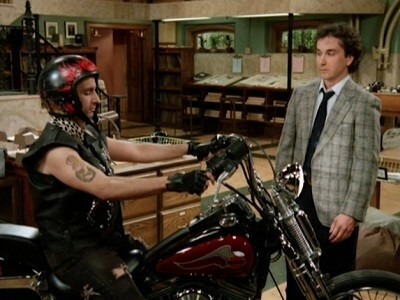 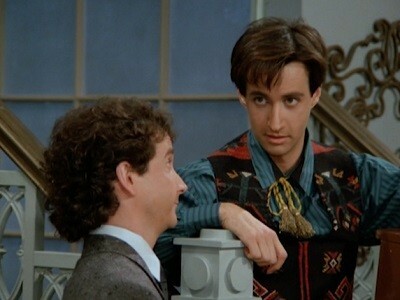 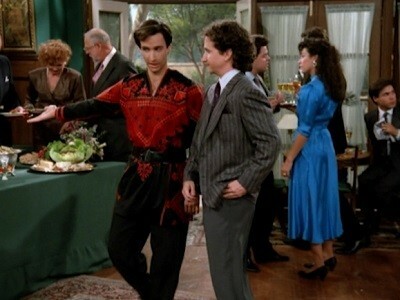 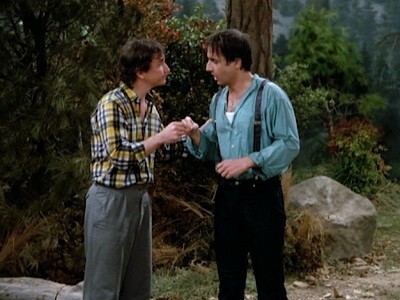 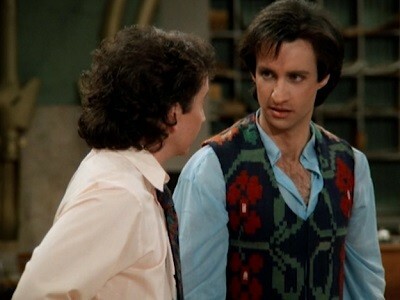 Balki wants to do all the stunts on the show but Larry, to avoid humiliation, insists that he just answer questions and go home. 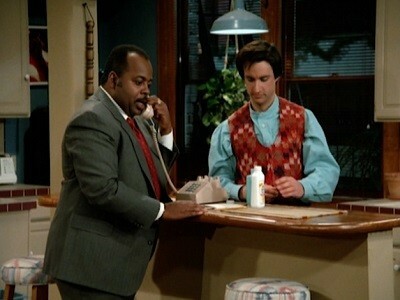 But after being offered a Caribbean Cruise, Larry won't quit.